The primaries are over and we're heading into the General Election season. Come find out more at this month's meeting. State Convention Candidates Invited - You'll have to attend to see who is speaking? Congratulations to our Primary Winners! We also appreciate and thank everyone who campaigned and ran in our elections.... this is how the American Constitutional process works. If your passion and energy is on the rise to make a difference in the future... start attending our meetings and learn how to get involved. 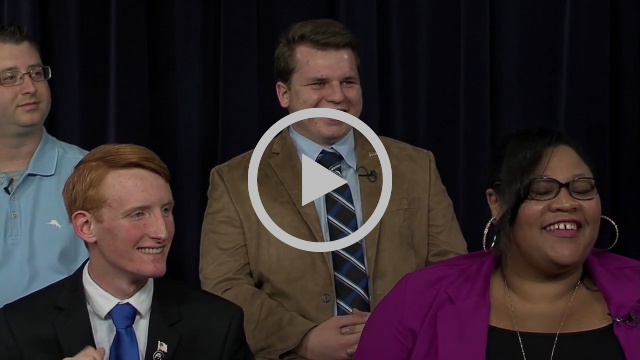 Meet some articulate, educated and dynamic and involved local Republican Millennials on the latest edition of On The Right Side. Watch it today! If you would like to join the OTRS production crew and learn more about what it takes to produce these videos... contact us. Thursday, Aug 16: County Convention, Suburban Collection, Novi. All members in good standing are welcome and invited to attend our Leadership Meetings, held the first Tuesday of the month. This is where we address Club business that does not get discussed at our general monthly meetings. Our July Leadership Meeting is Tuesday, September 4 at 7 pm at Al Hassinger's home in Rochester Hills.